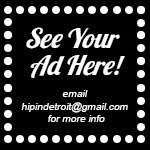 Hip In Detroit: Hip In Detroit's Picks for Blowout 17! The Blowout is right around the corner, so we decided it is probably time for us to give you suggestions on what bands we think you should check out this year. As you know, things are going to be a little different this year with venues in Detroit, Hamtramck and Ferndale participating. If you don't know about the changes, check out our interview with Chris Johnston here. If you do know about the changes, you know that you are going to have to map your evenings out wisely. And, don't forget, if you plan on hopping from city to city there is an Uber code that will save you up to $30! Just check your Blowout wristband for the exclusive code. But, without further adieu, here are our picks for this year's Blowout! 11:30 p.m.- Silent Lions @ The W.A.B. - Watch this new video! 12:45 a.m.- Voyag3r @ New Way Bar - Watch this video! 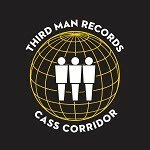 10:15 p.m.- The HandGrenades @ Rust Belt - Watch this new video! 10:30 p.m.- FAWN @ The W.A.B. 11:30 p.m.- Haunted House @ The W.A.B. - Watch this video! As you can see, there are a ton of great bands playing this year. So the choices are going to be tough! Luckily, one wristband gets you in to all of these great shows every night. If you haven't purchased yours yet, you can pick one up online here or at any of the venues during the Blowout. 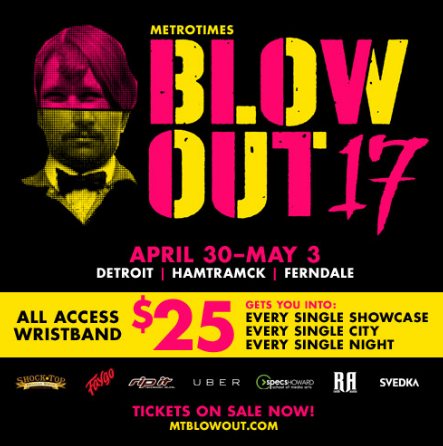 For a full schedule of bands playing and all of the info you need on this year's event, head over to MTBlowout.com.